Varel (renewablepress) - Deutsche WindGuard Consulting GmbH is now accredited according to DIN EN ISO/IEC 17025 for the calibration of nacelle mounted lidars. The calibration laboratory can now calibrate all kinds of wind remote sensing devices and completes its range of services in this department. Nacelle lidars have gained in importance in the last years – especially with regards to the verification of warranted power curves. “Measurements with nacelle lidars have the great advantage over classical power curve tests that there’s no need for the installation of a met mast”, explains Dr. Klaus Franke, head of Deutsche WindGuard Consulting’s calibration laboratory for remote sensing devices. “Especially in offshore measurements, nacelle lidars are a cost-efficient alternative.” While nacelle mounted lidars are not yet included in IEC standards, they are widely used for power curve verification measurements “We are part of an IEC task group that develops an IEC standard for the use of nacelle lidars in the frame of wind measurements, which will be published sometime next year”, adds Franke. For each measurement, traceable sensors are absolutely essential. The calibrations are conducted on the existing WindGuard test field. Deutsche WindGuard Consulting is an accredited testing lab for prototype testing on wind turbines as well as for wind measurements, energy yield assessment and LiDAR calibrations. Deutsche WindGuard Consulting GmbH is a part of the Deutsche WindGuard Company Group. 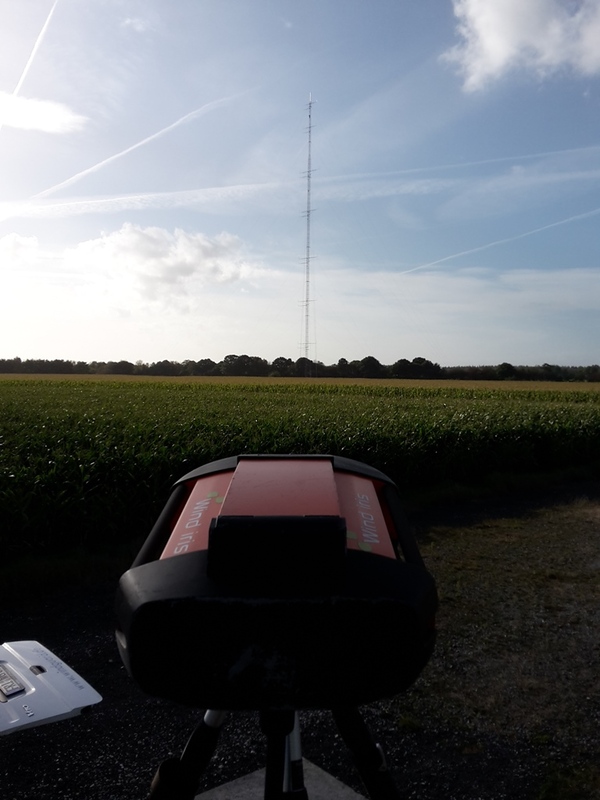 Deutsche WindGuard offers all surveys for wind farm projects out of one hand: from noise- and shadow propagation, wind measurements up to energy yield and site assessments. In a complex energy market, Deutsche WindGuard is committed to providing extensive scientific, technical, and operational services, which are unbiased and manufacturer-independent. Deutsche WindGuard was founded in 2000. With the headquarters in Varel and subsidies in Germany, the United States, China and India, it employs more than 170 experienced experts. Attention editorial offices: For further questions please contact Deutsche WindGuard Consulting GmbH.